Fingal Bay, one of NSW’s most beautiful beaches, lies at the very end of the Port Stephens peninsula. The bay is protected by Fingal Island which is connected to the bay, at the northern end, by a sand-spit which is only out of the water at low tide. At the southern end of Fingal Bay there is a rocky headland, which is capped by a small park called Barry’s Park. The rocks below this headland drop steeply to a sandy bottom at a depth of ~10m. The face of the headland is cut by some very sharp crevasses running out to sea. Underwater there are areas of kelp separated by fields of rounded boulders. The kelp shelters a variety of temperate wrasses, leatherjackets, and kelpfish. 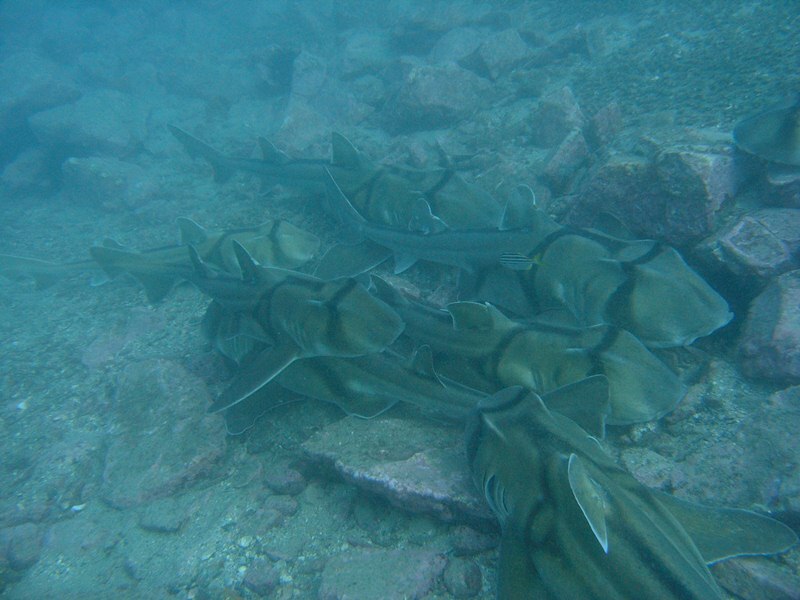 In the open water schools of Yellowtail, Pomfreds, and Yellowfin pike circle, and in amongst the boulders there are large numbers of long spined urchins, occasional Wobbegong sharks, and numerous Port Jackson sharks during spring. 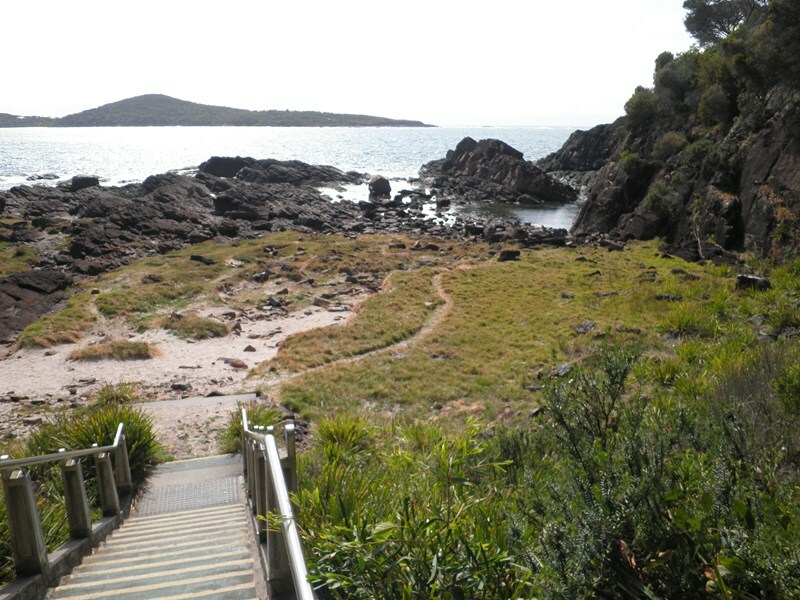 This site can be reached from shore by entering off the beach, and snorkelling out to the point, or by climbing down the stairs from Barry’s Park and entering off the rocks. It is easiest to enter off the rocks if you want to see the sharks, as it is a very long swim to get around the point to where the sharks lie if you enter from the beach.